Another fake sickness claimant has appeared in court after being caught out by posting pictures and comments on Facebook, which showed he was enjoying his holiday at the time he claimed to be ill.
Forty-year-old Justin Miller was ordered to pay almost £20,000 after falsely claiming he suffered diarrhoea, stomach cramps, vomiting and fever while on holiday in Cape Verde. 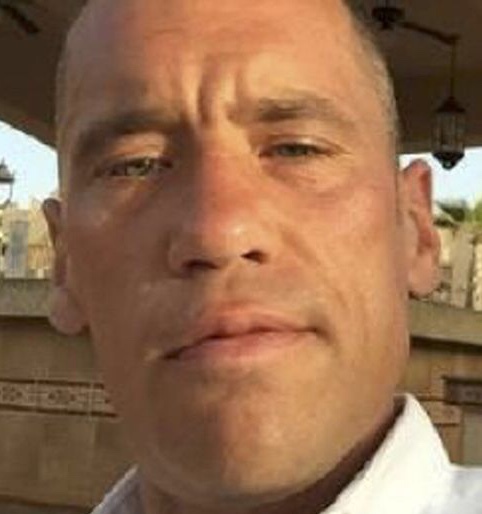 Miller (pictured below), from Penarth, South Wales, was caught out after his tour operator TUI found selfies and pictures of food and drink on Facebook during his holiday at the five-star Hotel Riu Touareg in Boa Vista. He had claimed the holiday was ruined by poor hygiene and badly cooked food, according to the Daily Mirror. One of the photos he posted from the hotel's restaurant read: "Nice bit of grub. Best Chinese food I've had." In another, he posted: "Little beer while waiting for the gang." Cardiff County Court found him to be dishonest and he was ordered to pay £19,025. TUI UK and Ireland managing director Andrew Flintham said: "We've continued to do all that we can to put a stop to fake sickness cases." £19k is brilliant, let's hope the courts follow through, he should be forced to sell, house, car or whatever to cover the debt. These fraudsters are a menace for which everyone else ultimately pays. Personally I'd fine AND jail them for minimum of 6 months. The more the merrier... at least for the hotels who give excellent service. Why not also blacklist the passengers so they don't try it again? One can only hope these people have access to the money to pay back. Hopefully their accounts can be blocked for specific amounts every month until the debt is paid.